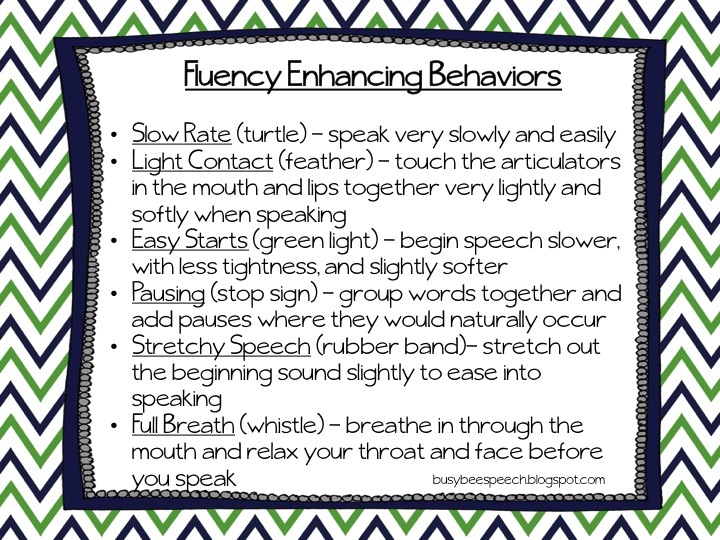 Speechie Freebies: Fluency Enhancing Behaviors (FEB) Freebie! 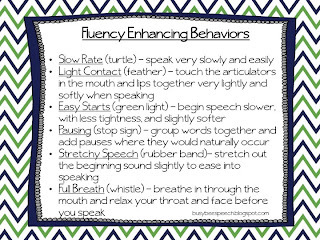 I like to teach my students behaviors or strategies to help them increase their fluency. They have really worked well with my kids who stutter and have proven to be an effective way of achieving fluency. You can grab this handout for free as well as visual cues for each strategy! Just head on over to my blog to find out more info and how to download!